Spring has to be my favorite season. I love when trees finally get their green leaves back and watching plants bloom is beautiful. My mom had a lot of plants and she took care of them like they were her life, she loved them. Every time I see flowers they remind me of her, that’s why I love roses because they were her favorite kind of plant to take care of. Anyway, I decided to look for some spring elements that would give that spring feel from flowers, to cute dresses, to Easter and rainy days. This is one of my favorite sticker sets I’ve made, I really hope you guys like it. 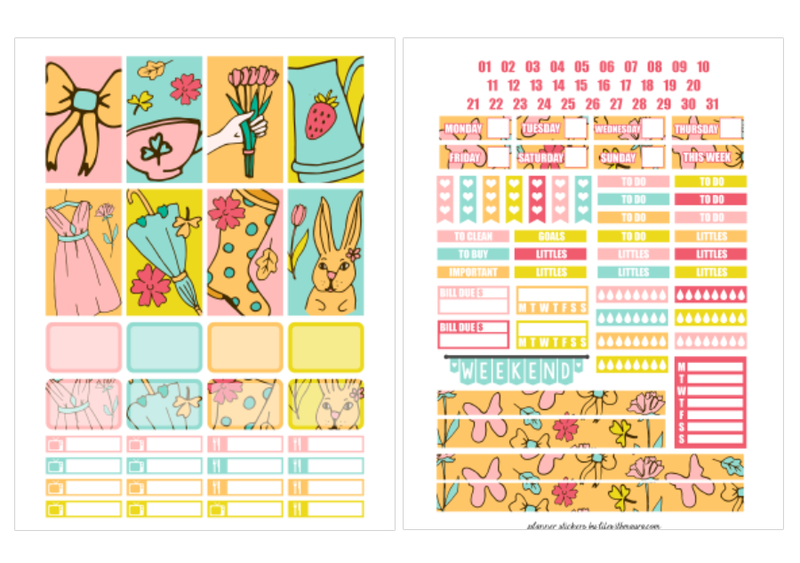 I can’t wait to use it on my happy planner next week. Download links are below, HP and EC sizes. Hi and welcome back to my blog! 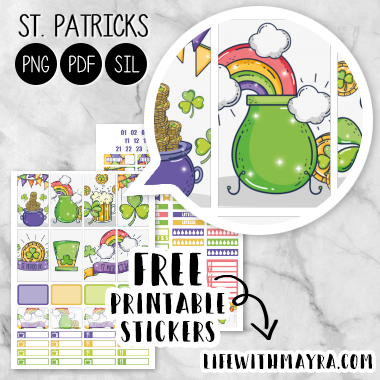 I was able to find time to work on a St Patrick’s Day sticker set. 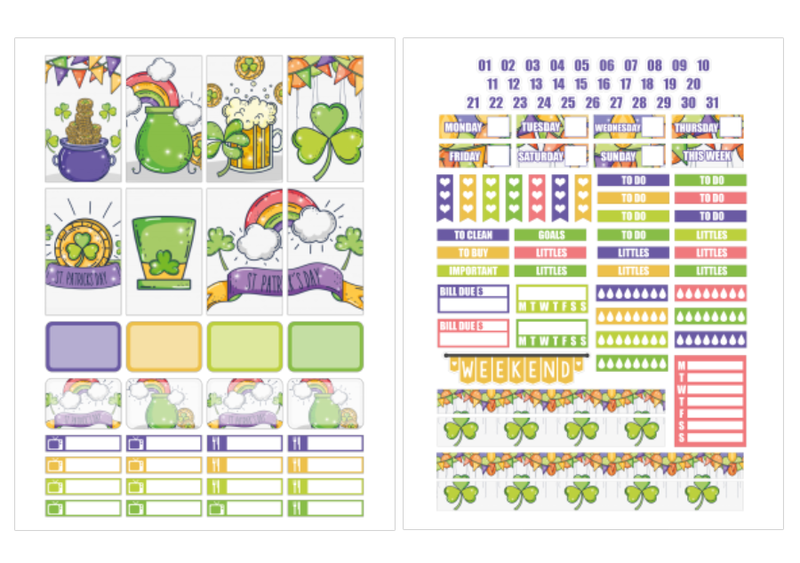 I hope you guys like it, you can download for happy planner or erin condren.